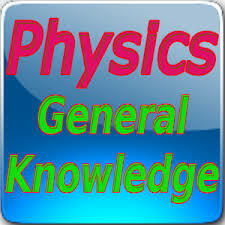 Physics related questions and answers Part 6And Physics questions and quizzes, quiz on Physics, important Physics, important Physics and questions, general knowledge questions and answers related to general science And physics general knowledge objective questions answers are important in like RAS, IAS, UPSC, RPSC, 1st, 2nd, 3rd Grade Teacher, REET CTET, LDC, SSC CGL, IBPS, MBA, CAT, MAT, SBI-PO, RBI And Railway, Indian Army And all competitive Exams. Question. (1) Necessary to get nuclear energy? नाभिकीय ऊर्जा प्राप्त करने हेतु आवश्यक है ? Question. (2) What kind of energy is used to perform physical tasks? शारीरिक कार्यों को करने के लिए किस प्रकार की ऊर्जा का उपयोग किया जाता है ? Question. (3) Who is the source of ultimate energy in all forms of energy? ऊर्जा के सभी रूप में अन्ततः स्त्रोत किसे माना जाता है ? Question. (4) Which of these is renewable energy? इनमें से कौन नवीकरणीय ऊर्जा है ? Question. (5) The largest source of energy on earth? पृथ्वी पर ऊर्जा का सबसे विशाल स्त्रोत है ? डेनमार्क को कहा जाता है ? Question. (7) Which metal is used to make solar cells? सौर सेल बनाने के लिए किस धातु का उपयोग किया जाता है ? Question. (8) What energy do solar cells convert solar energy into? सौर सेल सौर ऊर्जा को किस ऊर्जा में रूपान्तरित करते हैं ? Question. (9) Which is not used as fuel cooker? किसका उपयोग खाना बनाने वाले ईंधन के रूप नहीं किया जाता है ? Question. (10) Who is the photosynthetic organism? प्रकाशसंश्लेषी अंगक कौन है ?